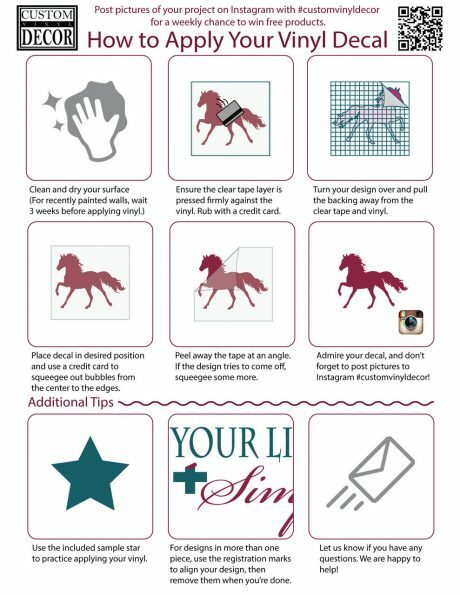 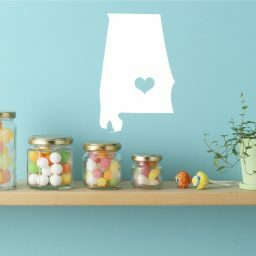 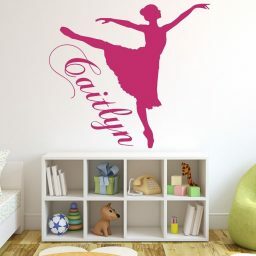 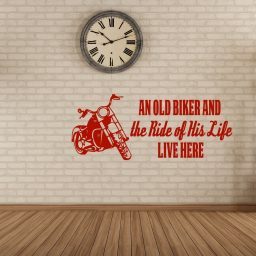 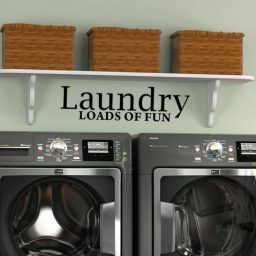 This fun wall decal is the perfect addition to any teenagers bathroom or bedroom. 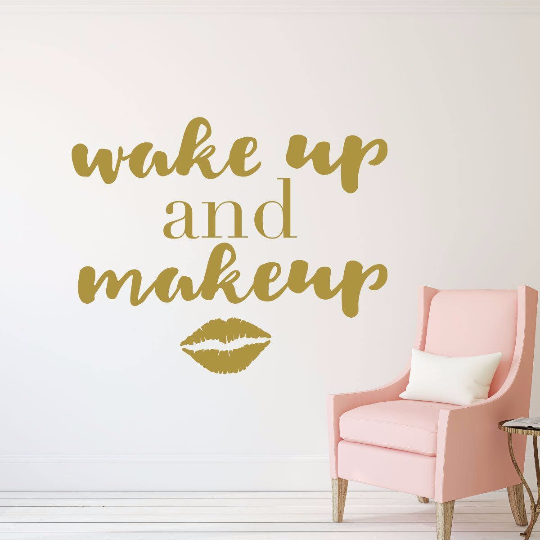 It would be great for a young girl’s coming of age party, especially if wearing makeup is a new ability. 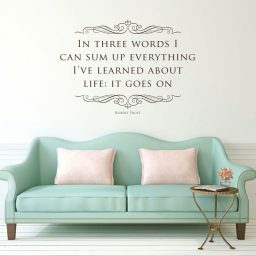 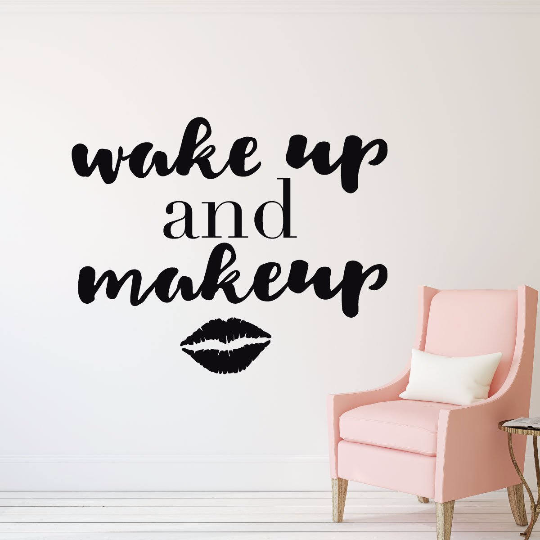 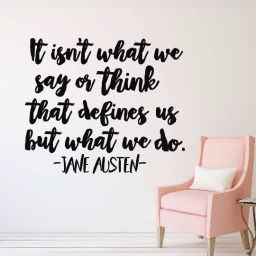 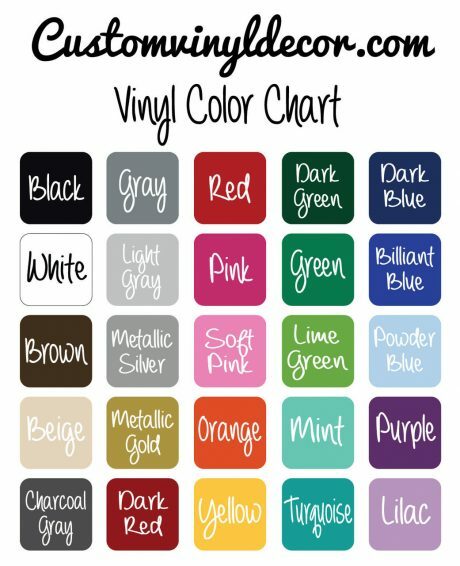 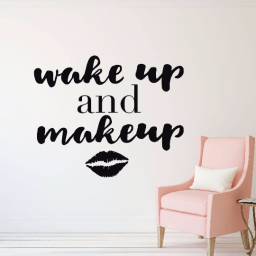 Put this wake up and makeup wall decal in a bedroom, bathroom, wardrobe/costume room, or dressing room.